Donna's Cherokee and Celtic spirit guides provide her with the power to see into the heart of your situation. Non-Judgemental & honest, she has an amazing track record of accuracy and is kind, funny and non-judgemental! 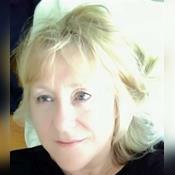 Donna is an Empath, Intuitive and Clairaudient, she can hear what your lover says to you now and in the future. She uses Tarot Cards in all readings for detail. Donna has also been an astrologer since her six-year study which began in 1989. Detailed astrology requires pulling a chart and should be requested via email so I may pull up your chart before the reading begins to save you time. Since Childhood, I have had an amazing ability to "Feel" (Clairsentience) the answers to questions in my life and the lives of others. Celtic and Cherokee heritage has given me the gift of "soul-sight," The ability to see into the heart of most situations. Spiritual, kind and supportive, I call on my Indian and Irish spirit guides through each reading to help me tap into the energy surrounding your question. My Irish angel and guardian angels help surround me with light during our readings so I can see the truth in the darkest moments. My Irish Spirit Guides help me see into the heart of any matter. I can provide you with details about and intentions of the people for whom you inquire. You will enjoy a detailed reading with kind delivery. My feedback is worthy of reading. My clients tell me I have a high accuracy rating. Asking a clearcut question is how we most effectively obtain clear cut answers with details! IrishDonna has been a user of Keen since 2007. Getting Life Questions advice from IrishDonna through www.keen.com is safe, secure and confidential.